Over the last few years doctors are increasingly relying on a test called hemoglobin A1c to screen for insulin resistance and diabetes. It’s more practical (and significantly cheaper) than post-meal glucose testing, and it’s less likely to be skewed by day-to-day changes than fasting blood glucose. While this sounds good in theory, the reality is not so black and white. 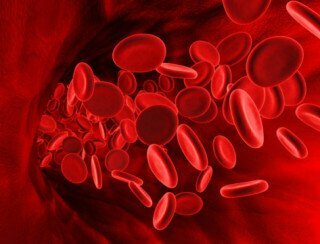 The main problem is that there is actually a wide variation in how long red blood cells survive in different people. Sugar has a tendency to stick to stuff. Anyone that has cooked with sugar can tell you that. In our bodies, sugar also sticks – especially to proteins. The theory behind the A1c test is that our red blood cells live an average of three months, so if we measure the amount of sugar stuck to these cells (which is what the hemoglobin A1c test does), it will give us an idea of how much sugar has been in the blood over the previous three months. The number reported in the A1c test result (i.e. 5.2) indicates the percentage of hemoglobin that has become glycated (stuck to sugar). Why is hemoglobin A1c unreliable? While this sounds good in theory, the reality is not so black and white. The main problem is that there is actually a wide variation in how long red blood cells survive in different people. This study, for example, shows that red blood cells live longer than average at normal blood sugars. Researchers found that the lifetime of hemoglobin cells of diabetics turned over in as few as 81 days, while they lived as long as 146 days in non-diabetics. This proves that the assumption that everyone’s red blood cells live for three months is false, and that hemoglobin A1c can’t be relied upon as a blood sugar marker. In a person with normal blood sugar, hemoglobin will be around for a lot longer, which means it will accumulate more sugar. This will drive up the A1c test result – but it doesn’t mean that person had too much sugar in their blood. It just means their hemoglobin lived longer and thus accumulated more sugar. The result is that people with normal blood sugar often test with unexpectedly high A1c levels. This confused me early in my practice. I was testing blood sugar in three different ways for all new patients: fasting blood glucose, post-meal blood sugar (with a glucometer) and A1c. And I was surprised to see people with completely normal fasting and post-meal blood sugars, and A1c levels of >5.4%. In fact this is not abnormal, when we understand that people with normal blood sugar often have longer-lived red blood cells – which gives those cells time to accumulate more sugar. On the other hand, if someone is diabetic, their red blood cells live shorter lives than non-diabetics. This means diabetics and those with high blood sugar will test with falsely low A1c levels. And we already know that fasting blood glucose is the least sensitive marker for predicting future diabetes and heart disease. This is a serious problem, because fasting blood glucose and hemoglobin A1c are almost always the only tests doctors run to screen for diabetes and blood sugar issues. Another condition that affects hemoglobin A1c levels is anemia. People who are anemic have short-lived red blood cells, so like diabetics, they will test with falsely low A1c levels. In my practice, about 30-40% of my patients have some degree of anemia, so this is not an uncommon problem. What blood sugar markers are reliable? Testing accurately for blood sugar is like putting pieces of a puzzle together. Fasting blood glucose, A1c and post-meal blood sugar are all pieces of the puzzle. But post-meal blood glucose testing is by far the most reliable and accurate way to determine what’s happening with blood sugar, and the most sensitive way of predicting future diabetic complications and heart disease. I’ve posted several articles on ChrisKresser.com on this subject. For more on why post-meal blood sugar is a superior marker, read When Your Normal Blood Sugar Isn’t Normal (Part 2). For my recommendations on how patients can measure their post-meal blood sugars at home, and what healthy targets should be, read How to Prevent Diabetes and Heart Disease for $16. Another useful – but underused – blood sugar marker is fructosamine. Fructosamine is a compound that results from a reaction between fructose and ammonia or an amine. Like A1c, it’s a measure of average blood sugar concentrations. But instead of measuring the previous 12 weeks like A1c, fructosamine measures the previous 2-3 weeks. And unlike A1c, fructosamine is not affected by the varying length of red blood cell lifespans in different individuals. Fructosamine is especially useful in people who are anemic, or during pregnancy, when hormonal changes cause greater short-term fluctuations in blood glucose levels. To put the most accurate picture together, I like to have all four: fasting blood glucose, A1c, post-meal glucose and fructosamine. But if I only had to choose one, it would definitely be post-meal glucose. I’m a 65 year old woman who exercises daily and is on the thin side. My morning fasting levels are out of whack, ranging from 108 -180! I’ve tried apple cider vinegar, green apples, proteins no snack before bedtime, but have not achieved any consistency, My last A1C was 7.5 but in the past has been as low as 6.1, Not sure how to deal with the “Dawn” syndrome which seems to be my biggest obstacle. My doctor would love to put me on meds but for the past 10 years I’ve chosen diet and exercise. Help!! First, one study does not prove anything. Additional studies need to be done to confirm a result. This is just basic science. Two, the study actually states, “Although the vast majority of the subjects had erythrocyte life spans that fell within the normal range (123 ± 23 days), there was a highly significant inverse correlation (r = −0.66, P < 0.01) between life span and GHb percentage, with an average decline in life span of 6.9 days for each 1% rise in GHb. The reticulocyte count inversely correlated with erythrocyte life span (r = −0.77, P < 0.01)." All you can say from this study, subject to validation from other studies, which you do not cite but I found, is that (a) the measurement of HbA1c is dependent upon the person's average life of his/her RBC's and (b) HbA1c test would be more accurate if it took into account the average life span of the person's RBC's. Three, the assumption is not that RBC's live for three months. The assumption is that they live for four months (120 days).